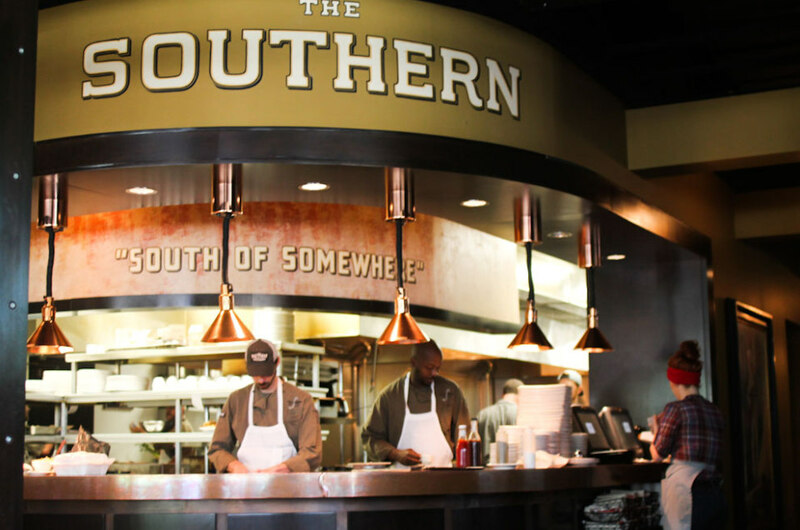 Southerners love their food and the people of Nashville are justifiably proud of the cuisine dispatched from the kitchens onto the plates of hungry diners – residents and tourists alike. You certainly come expecting fried chicken, biscuits, barbecue and fine southern hospitality, all done exceptionally well, but you might be surprised to find excellent tacos, sublime cocktails and a vibe more akin to Brooklyn than Dixie. 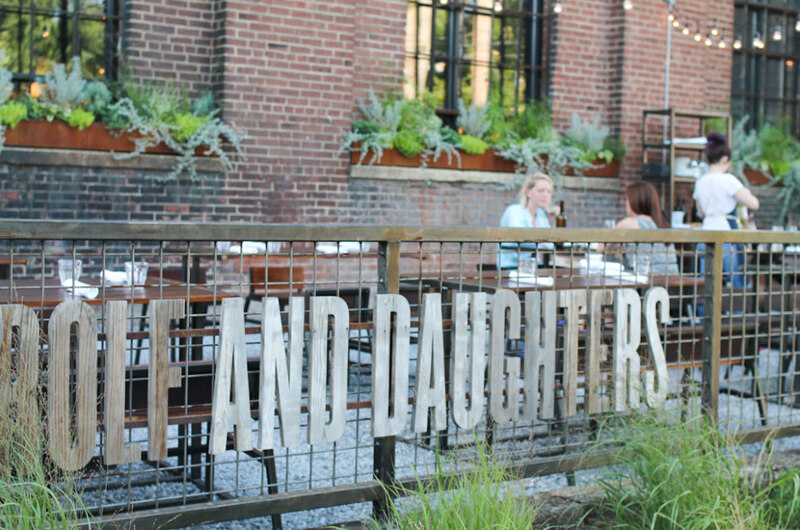 Expect the unexpected as the Music City aims to please. Nashville is well-connected with a number of highways, and while traveling by car from Atlanta, I made a beeline to a restaurant recommended by seemingly everyone, Prince’s Hot Chicken Shack. As you’d expect by the name, you won’t find white tablecloths, servers, or even a credit card machine (bring cash!) but you will find some of the hottest, most flavorful chicken around. You’ll find a busy dining room full of patrons eating their chicken, but as luck will have it seats usually open up by the time your food arrives, and I gladly shared my table with a writer from New York who only had a few hours in Nashville and had to make it to Prince’s. You have a choice of temperatures – mild, medium, hot, extra hot. Even if you love hot food, you might want to get an order a temperature level down for at least one of your pieces. Even at the medium level, you’ll get plenty of heat with tons of flavor. Easily some of the best chicken I’ve had. Call ahead and take it to go, if you’re not interested in waiting, especially during busy times on the weekend. They’re open late into the night on Fridays and Saturdays and close Sunday and Monday. If fried food isn’t your thing, Rolf & Daughters may be the perfect spot to add to your dining itinerary. In a historic building on the edge of downtown in Germantown, Rolf & Daughters serves up food with an Italian and Mediterranean tilt with a hipster vibe. I enjoyed a delightful seasonal cocktail with Tennessee whiskey, a housemade peach shrub, and a local beer from Turtle Anarchy. They have a full range of pastas, again made in-house and full on entrees that change throughout the seasons. 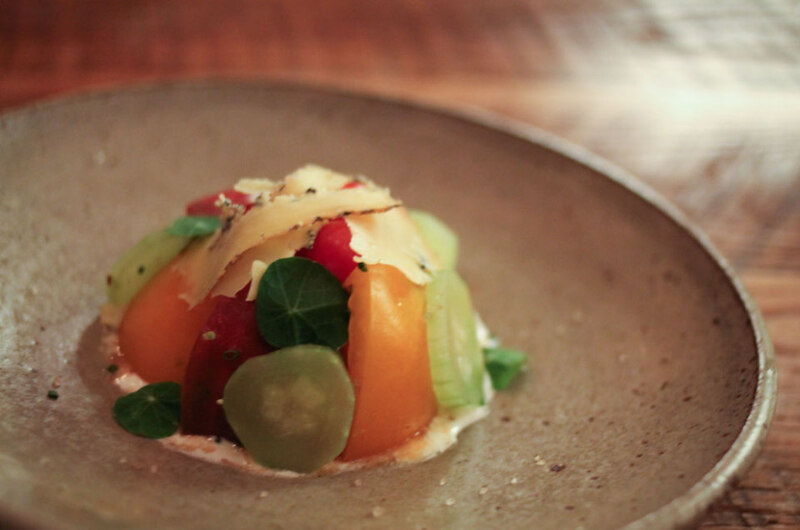 Prior to James Beard award winning chef Sean Brock making a name for himself in Charleston, SC he served as executive chef at Nashville’s Hermitage Hotel. Brock’s restaurant Husk opened to large crowds and high praise from national media, and recently opened the second branch of his restaurant in Rutledge Hill. You’ll be greeted by a list of Southern purveyors supplying the restaurant’s kitchen, even the olive oil is sourced from South Georgia. The menu features an extensive beverage menu, that although known for its whiskeys, carries a surprisingly inventive list that’s completely non alcoholic. Fans of local sodas all find Dr. Enuf, Ale-8-1 and NuGrape an exciting find on the list. On my visit I dined on a delicious heirloom tomato salad with produce brought to the restaurant by area Mennonites, a General Tso’s style crispy pig ear dish (pressure cooked, smoked, and of course- fried!) and a local beef entree accompanied by roasted cauliflower and chanterelles. Steps away from the river and honky tonks lining Broadway, you’ll find The Southern restaurant in a gleaming office tower. You’ll forget that you’re dining in a skyscraper with the down home atmosphere of restaurant and have your pick of Southern inspired dishes, even a few with some Louisiana flavor, including their take on gumbo and barbecued shrimp. If the Tennessee heat has made its appearance on your visit, try the Blackberry Mountain tea made with moonshine from the Smoky Mountain region. Mas Tacos Por Favor has gone from food truck super star to setting up camp at a permanent location in East Nashville. Keep an eye out for their twitter account @mastacos for daily specials and if the fried avocado or pulled pork tacos are among today’s offerings, don’t miss them. Their pineapple-cilantro ague fresco was particularly refreshing on a week where temperatures were approaching the triple digits. 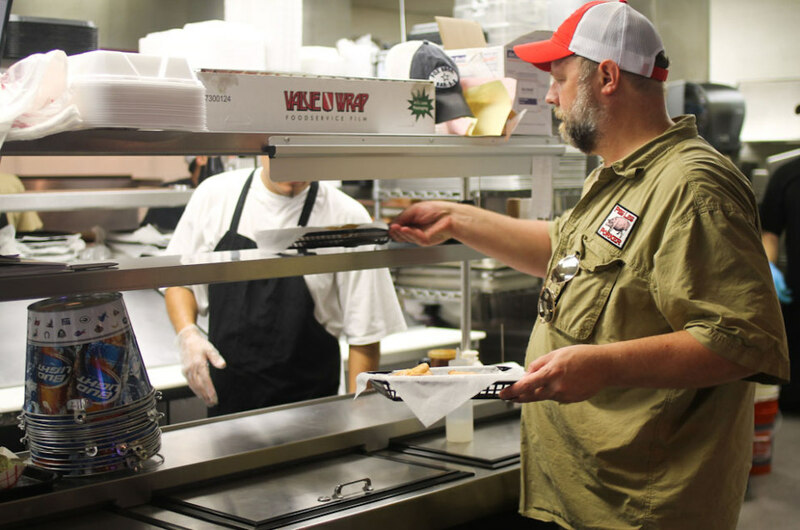 Memphis may get most of the nation’s attention when it comes to Tennessee barbecue, but you only need to take a trip to the Gulch to find pit master Carey Bringle’s palace of pork. If you’ve never tried a dry rack ribs, this is the perfect place to correct the error of your ways. You’ll find the national breweries all over town, but this is a great place to sample some of Nashville’s local brews, including neighbors Yazoo and Jackalope. 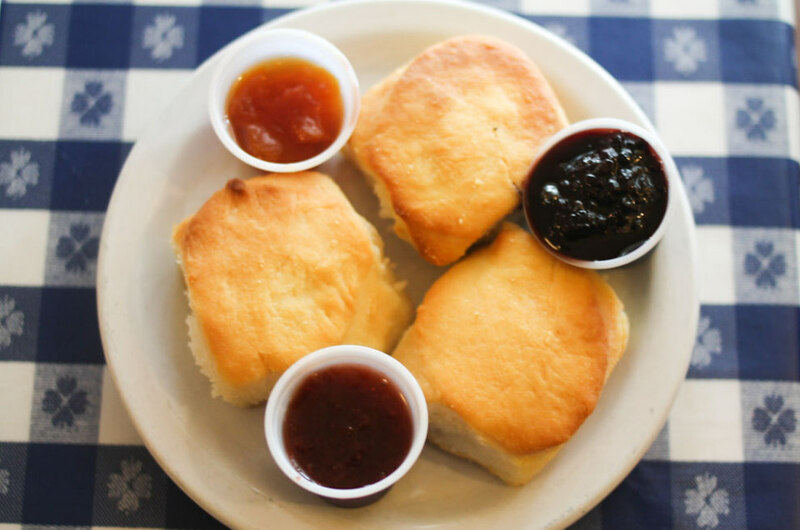 On a mission to find the finest biscuits in the city, I was led to the famous Loveless Cafe. There was no need to go deep into the menu as everyone told me that the country ham and eggs were the way to go and they the cafe didn’t disappoint. The biscuits were warm, made with White Lily flour and accompanied by assorted jams including my favorite of the bunch, blackberry. Country ham can be painfully salty but Loveless’ version had the perfect sweet & salty balance that’s hard to come by. If you can’t get enough, you just have to walk a few steps to a standalone shop where you can get your own country ham to take home with you. I was stuffed from my breakfast, but the waitress said I must try the fried chicken. I know exactly what I’ll be trying on my next trip to Nashville.